Since we are talking M. Sasek, thought I would update my This is Texas post from 2008. Though, the Texas I live in now is way less Cowboy. Though I will say that San Antonio is the prettiest Texas town, hands down. Love, love Sasek. We have Paris, London, and New York. 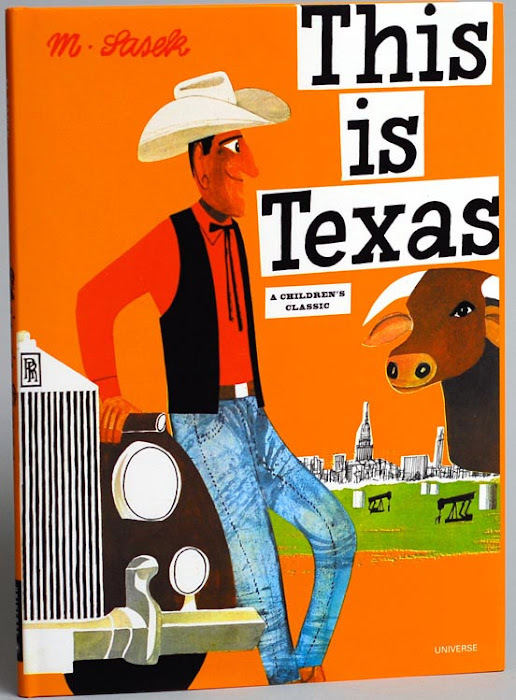 I bet my kids would love Texas though. My daughter is a tad obsessed with anything that has to do with horses :). I think it is the most Texas place there is! Although I have spotted horseback riding in traffic several dozen times here in Woodville, TX.